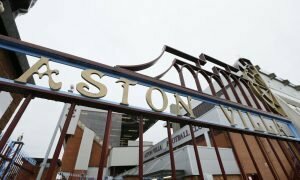 Opinion: Aston Villa should consider late swoop on Tottenham before time's up | The Transfer Tavern | News, breakdown and analysis on all things football! Aston Villa have made a superb start to the new Championship season. It was a turbulent summer at Villa Park after narrowly missing out on promotion to the Premier League landed the club in serious debt. There were fears that many key players would be sold in order to balance the books. However, the club were saved from financial ruin by billionaires Nassef Sawiris and Wes Edens who purchased a controlling stake in the club. Steve Bruce’s future was also uncertain with reports suggest Thierry Henry was being lined up as his replacement. However, the new owners moved quickly to squash rumours and gave Bruce their full backing. The former Manchester United man has already repaid their faith by guiding the Villains to wins in their opening fixtures against Hull City and Wigan Athletic. EFL clubs can still sign players on loan until the end of August and Villa could cement their promotion ambitions by landing Tottenham winger – Georges-Kevin Nkoudou. Valued at £6.3m by Transfermarkt, the French winger joined the Lilywhites from Marseille back in 2016, penning a five-year deal at the club. However, he has struggled to break into the first-team and was loaned to Burnley last season where he made just two starts in the Premier League. Mauricio Pochettino will allow the forward to leave the club this summer and reports suggest Mainz have agreed on a loan deal with the 23-year-old who is keeping his options open. A move to Villa Park would allow him to get his career back on track and prove he can be a success in England. Nkoudou scored five goals and notched three assists back in 2016 for Marseille as well as hitting four goals in just seven Europa League appearances. 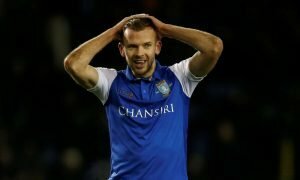 A move to the Championship could be just what he needs to rediscover the form that made him one of the most courted prospects in world football. The winger is an excellent dribbler, averaging 2.3 dribbles per game for the French side (WhoScored) and has pace to burn. He would give defenders plenty of headaches if Bruce can lure him to the Midlands. Alongside Jack Grealish in the Villa front line, they would have the firepower to return to the Premier League.